I know I mention Tom Cruise too often. I'm sorry, I can't help it. He's just so small he's gotten under my skin. Anyway, it's wet and rainy, cricket is rained off, tennis is rained off and I feel a little unwell. Therefore, there is nothing else to do but cheer myself up as best possible. 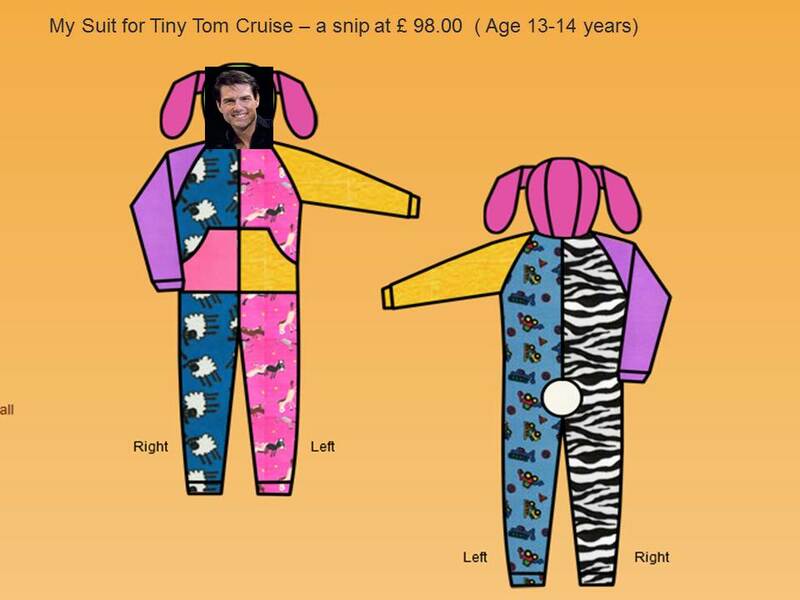 So I have designed a special suit for Tom to wear in the next Mission Impossible film which I believe will be call Mission Impossible: Rabbit Warren. 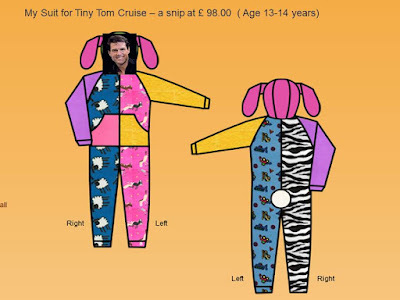 I love this suit and I think Tom will too - and since I only had to buy size 13-14 years which was a snip at £98.00 I may even order a second suit just in case his ears get caught in a trap. Mrs T - Tom Cruise is OLD. Mrs G - I know - but only 3 years older than me though! Gosh, what a perfect gift for someone....small! Mr C looks far taller in the movies..are you sure he's one of the little people? There's something about height that really turns me off...I couldn't bear kissing someone who only reached my navel! Hee, hee, hee Mummyattheschoolgate, I think that's what makes TC so funny. He's 5ft 7in which is not that small really - it's just that he tries to make himself look taller that is so funny - I laughed my socks off when I heard he's to play Jack Reacher (from the Lee Child novels) who is supposed to be 6ft 5 inches!!! Tom is a teeny weeny bit......sinister. Have you ever noticed that, Jane? 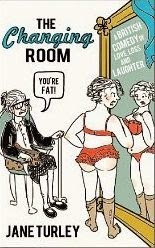 That's very funny! I love your bizarre sense of humour there. And thanks for your fabulous review of my book on Amazon. Much, much appreciated.